Creativeness is a wide field to express yourself and demonstrate your aptitudes for other people. 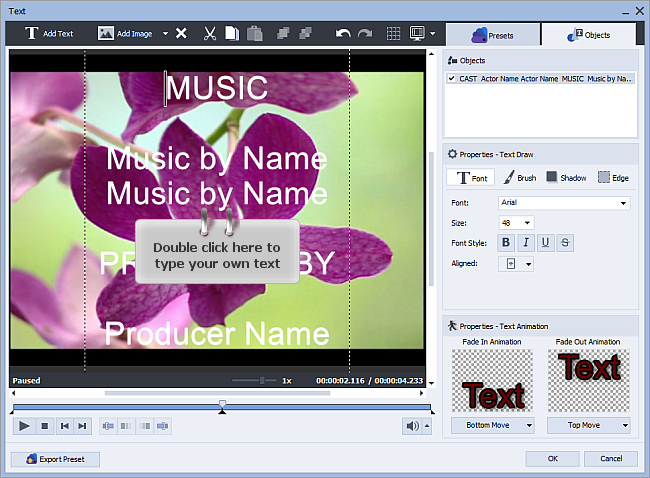 Making and editing a video is one of the things like those. 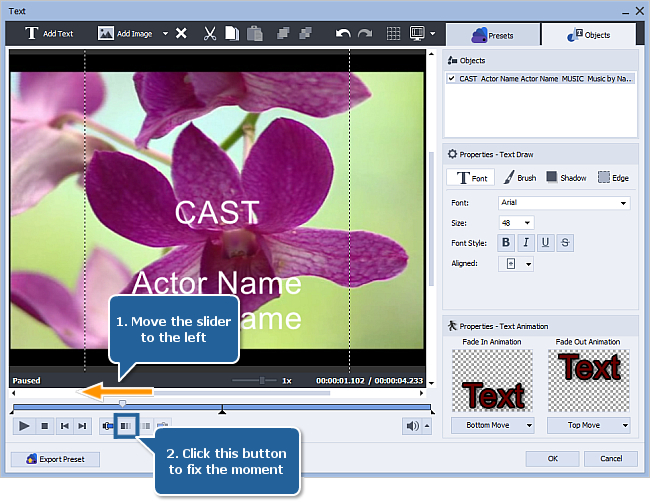 Maybe you have been shooting a documentary for a scientific conference, preparing an advanced video report for your student group or just compiling videos taken from different stages of your life into a single movie and already are using AVS Video Editor for that. 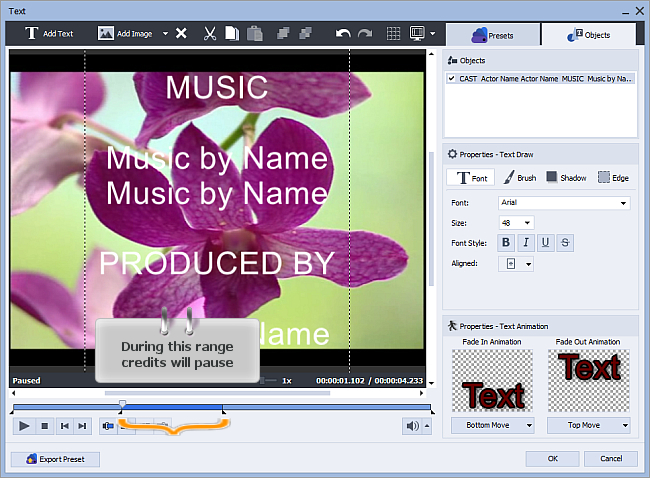 In these cases you are likely to face the natural intention to mention and thank people who somehow took part in what you have as a result by means of the overlaid credits that can be made with the help of AVS Video Editor as well. 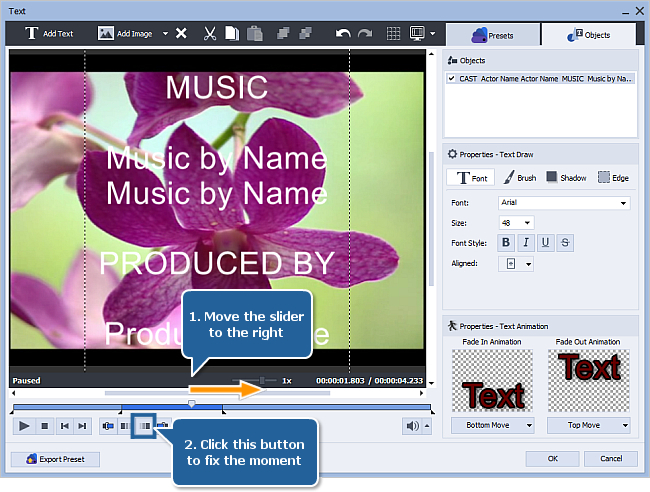 If you are a beginner in using AVS Video Editor, you'd better read how to download it, import your video and place it to the Timeline first and then just follow the steps of this guide to make your video complete. 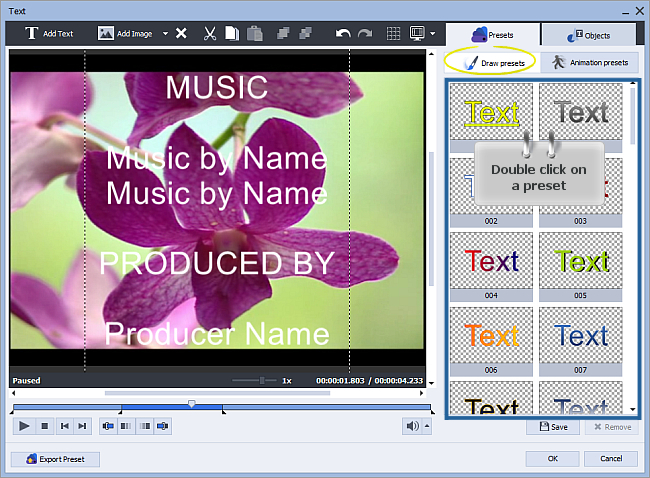 Note: if you add credits with a transparent background, your video placed behind the credits will remain visible (i.e. 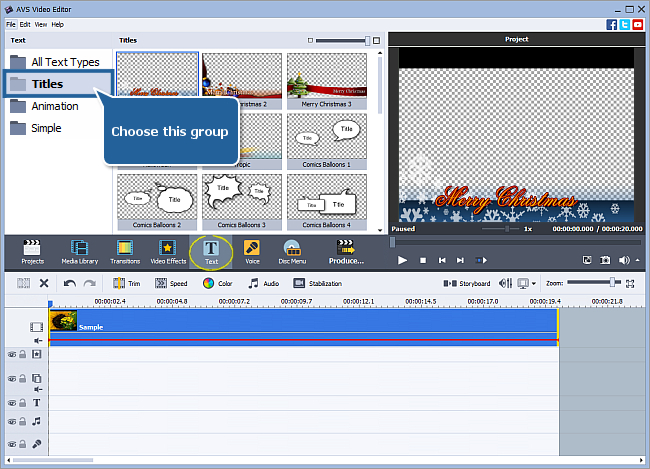 you'll get credits which scroll simultaneously with the main video playing in the background). If you select credits with an opaque (black) background, your video underneath them will not be visible. The Fade Credits pattern allows you to receive a smooth transition between the main video and the credits on the black screen. 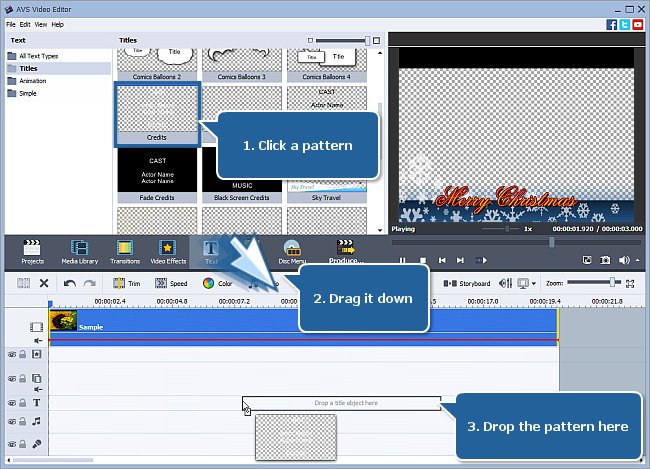 To change the position of the credits in your video click the credits pattern block you've just added to the appropriate row of the Timeline area. Hold the mouse button and move the block all the way to the end of the row. In this case the credits will end at the same time as the video placed behind them. Note: the speed of credits motion depends upon the duration of the block defined for that. The more you lengthen the block, the slower the movement speed.